If you need sand bags, please let us know in the customer comment section in the 3rd step of the check out process. 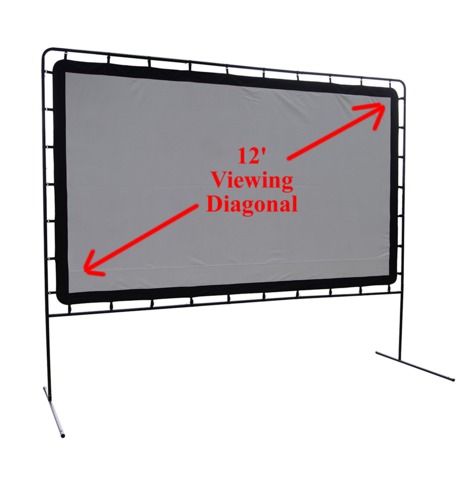 144 inch (12 feet) diagonal screen. 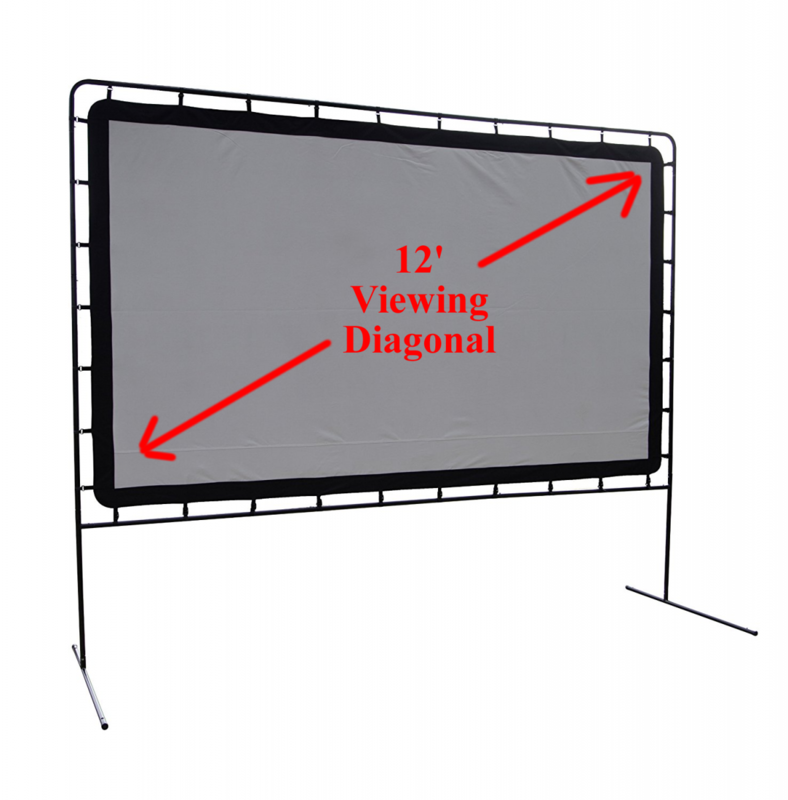 Screen Viewing Dimensions: 126 inches Width x 71 inches Height. 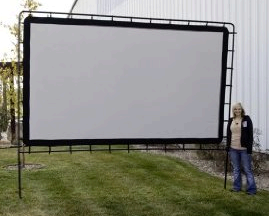 Wide screen 16:9 aspect ratio. Durable 600D x 600D Oxford nylon for a quality picture. 1 inch diameter, 18 gauge powder coated steel tubing. 4 frame stakes and 4 guy lines with stakes included.